Over the next few weeks some friends of mine are going to share with you their summer reading lists. I love seeing what other people are looking forward to reading, often because it gives me ideas of what else to add to my to-be-read pile. And though it's a little difficult to imagine summer - shorts, bathingsuits, etc, right now when Boston has a high of 45 degrees, let's at least pretend that beach reading is around the corner. I was recently at the Harvard Coop to pick up another book when Kaitlin told me I needed to read this book. Over the past year she has given me one fantastic book suggestion after another so I trust her literary preferences. 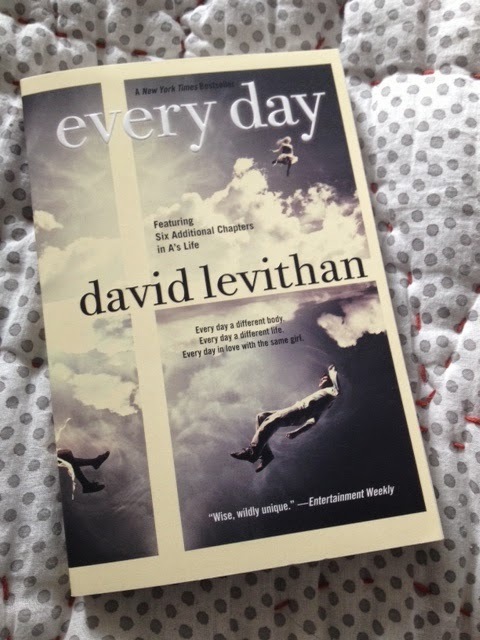 I haven't read any of David Levithan's books (though I did see the film version of "Nick & Norah's Infinite Playlist") so this is like stepping into completely new territory for me. I'm excited! Jim Gorant is a man who changed my life. I'm not being facetious when I say that. He truly did. Back in 2010 I walking into Porter Square Books and stopped in my tracks at the first table. On it was a picture of a little red pitbull, staring up at the camera. Her eyes transfixed me and I read the inside cover and then had to buy the book. And reading that book caused me to visit Best Friends Animal Sanctuary and also to fall in love with pitbulls. 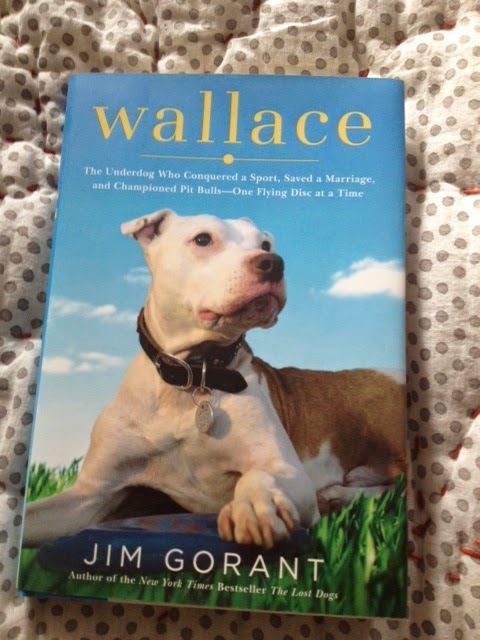 So when I saw he'd written another book about a pitbull I ran out and got it... and then left the book in my pile. It's moving to the top. Rainbow Rowell had me at the cover of "Eleanor & Park". I realize she had no say in the cover art, but as a visual person I was drawn to that cover. "Fangirl" gives me the same feeling. I think it's the soft color palette? Is that weird? I know nothing about "Fangirl". But I love reading Rowell's tweets and while that has no relevance to this book, it's enough for me to want to read anything else she writes. Two weekends ago I consumed "If I Stay" over a couple of days. While I had more of an emotional reaction to the trailer than to the book (how could I not cry with "Say Something" playing? 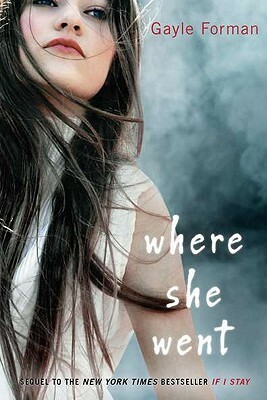 ), I am invested enough to want to know what happened in Mia's life after "If I Stay". If it's written anything like it's predecessor, then "Where She Went" will be consumed in two sittings, preferably on the beach. Unless, of course, it's going to make me cry, in which case I shouldn't read it in a public setting. Last, but certainly not least (actually, I'm probably most excited about this), we have my love affair with Jamie Alexander Malcolm Mackenzie Fraser. Sigh. 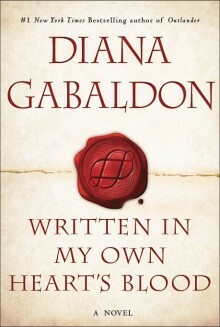 The eighth book in Diana Gabaldon's time-traveling, historical fiction, holy-potatoes amazing series comes out this summer, which means I should finally finish the seventh book, which I paused halfway through about two years ago because I didn't want to finish it and then be starved of Claire and Jamie's love for an indefinite amount of time. As you know (if you read this blog regularly), they are currently filming the first season of Outlander, which will be on Starz beginning this summer. I. Can't. Flubbin. Wait. *Image courtesy of Outlander Starz. So there you have it - the top five books I'm looking forward to reading over the next few months. I would love to hear from you - what books are you planning to read this summer?? Or have you already read one of these and have thoughts on how it was? Hi Stephanie, I found your blog from Molly over at Pop.Bop.Shop. I was just starting to compile my own reading list so I'm glad you posted yours. 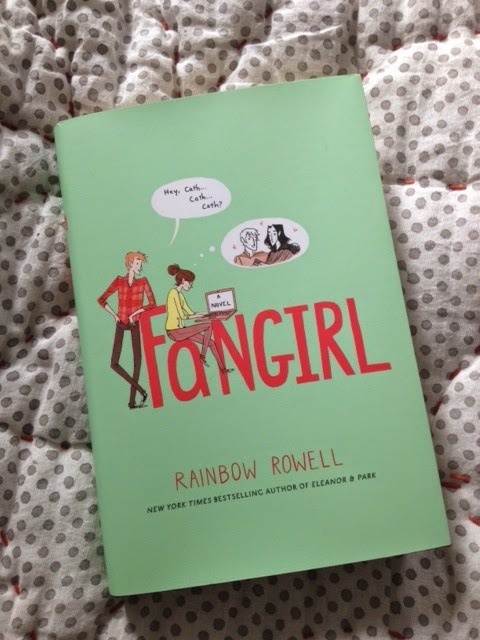 I'll be putting Fangirl on my Amazon wish list!